Mass spectrometry-based quantitative proteomics has emerged as a powerful approach that has the potential to accelerate biomarker discovery, both for diagnostic as well as therapeutic purposes. Proteomics has traditionally been synonymous with 2D gels but is increasingly shifting to the use of gel-free systems and liquid chromatography coupled to tandem mass spectrometry (LC-MS/MS). Quantitative proteomic approaches have already been applied to investigate various neurological disorders, especially in the context of identifying biomarkers from cerebrospinal fluid and serum. 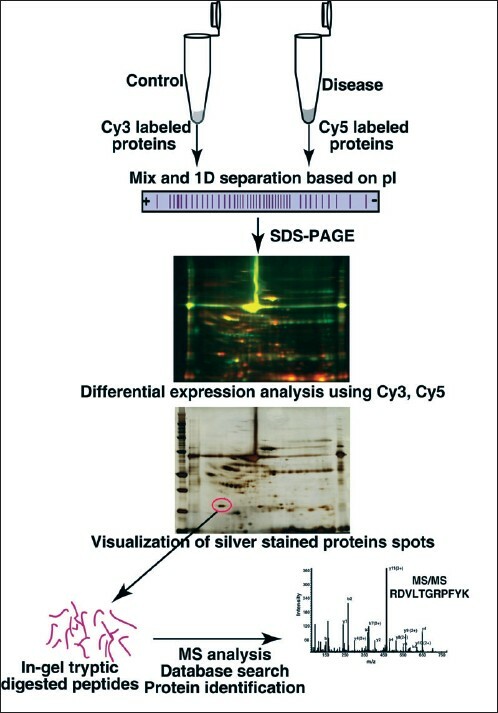 This review highlights the scope of different applications of quantitative proteomics in understanding neurological disorders with special emphasis on biomarker discovery. 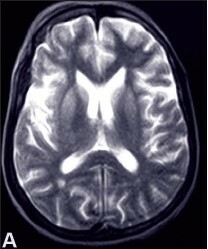 In hospitals in the tropics, the availability of magnetic resonance imaging (MRI) facilities in urban areas and especially in teaching institutions have resulted in white matter diseases being frequently reported in a variety of clinical settings. Unlike the west where multiple sclerosis (MS) is the commonest white matter disease encountered, in the tropics, there are myriad causes for the same. Infectious and post infectious disorders probably account for the vast majority of these diseases. Human immunodeficiency virus (HIV) infection tops the list of infective conditions. Central nervous system (CNS) tuberculosis occasionally presents with patchy parenchymal lesions unaccompanied by meningeal involvement. 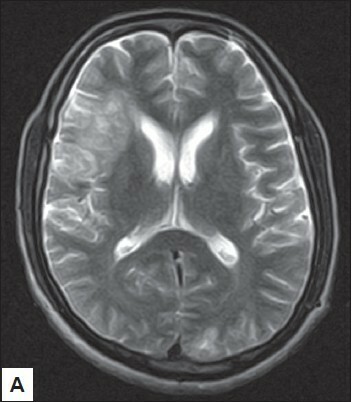 Human T cell leukemia virus (HTLV) infection and cystic inflammatory lesions such as neurocysticercosis are important causes to be considered in the differential diagnosis. Diagnosing post infectious demyelinating disorders is equally challenging since more than a third of cases seen in the tropics do not present with history of past infection or vaccinations. Metabolic and deficiency disorders such as Wernicke's encephalopathy, osmotic demyelinating syndrome associated with extra pontine lesions and Vitamin B12 deficiency states can occassionaly cause confusion in diagnosis. This review considers a few important disorders which manifest with white matter changes on MRI and create diagnostic difficulties in a population in the tropics. Triple H therapy has been enthusiastically used to increase cerebral blood flow in cases of vasospasm. Nevertheless, the oxygen-carrying capacity of the blood is lowered with this treatment. This side effect can theoretically be partially corrected using hyperbaric oxygen therapy (HBO) which appears to be the missing ring in the above therapeutic regimen. We conducted a review of of the available evidence regarding the beneficial effects of HBO in preventing postoperative ischemic complications due to vasospasm after surgery on ruptured cerebral aneurysms and the rationale for including HBO into the standards of care of these difficult patients. Background : The role of variables like duration of diabetes, diabetic control and microvascular complications in the causation of cognitive decline in patients with type 2 diabetes is not well studied. The contribution of hypertension to the cognitive decline in nondemented diabetic patients is unclear. Aims: We wanted to see if cognition in patients with type 2 diabetes is associated with the duration of diabetes, control of diabetes, complications of diabetes, vascular risk factors, or depression. We also looked at association of noncompliance with cognition, and depression. Settings and Design: We recruited ambulant patients with type 2 diabetes who are 55 years or more in age from the weekly diabetic clinic. We excluded patients with past history of stroke. Methods and Material: We selected the time taken for the Trial A test, delayed recall on ten-word list from Consortium to Establish a Registry for Alzheimer's Disease (CERAD), Rowland Universal Dementia Assessment Scale (RUDAS) and Centre for Epidemiologic Studies Depression scale (CES-D) screening instrument to assess these patients. Statistical Analysis Used: We utilized mean, standard deviation, Chi-square test and Pearson's correlation for statistical analysis. We considered P < 0.05 to be significant. Results: RUDAS scores inversely correlated ( r = -0.360) with CES-D scores ( P = 0.002). Scores of the screening instrument for depression, the CES-D was associated with the duration of diabetes mellitus ( P = 0.018), fasting blood glucose ( P = 0.029) as well as with 2-hour post prandial blood glucose ( P = 0.017). Conclusions: There is correlation between depression and global cognitive score. Depression seems to be associated with duration of diabetes and control of diabetes. Objectives : Fine motor skills disorders belong to the neurological manifestation of Wilson's disease. The aim of this study is to investigate if fine motor performance changes during the course of the disease and with therapy. Methods : In 15 neurological patients with Wilson's disease, severity of neurological symptoms was assessed with a neurology score. A test battery consisting of the hand writing of a test sentence, lines of "double-l" and retracing a circle was carried out for analysis. 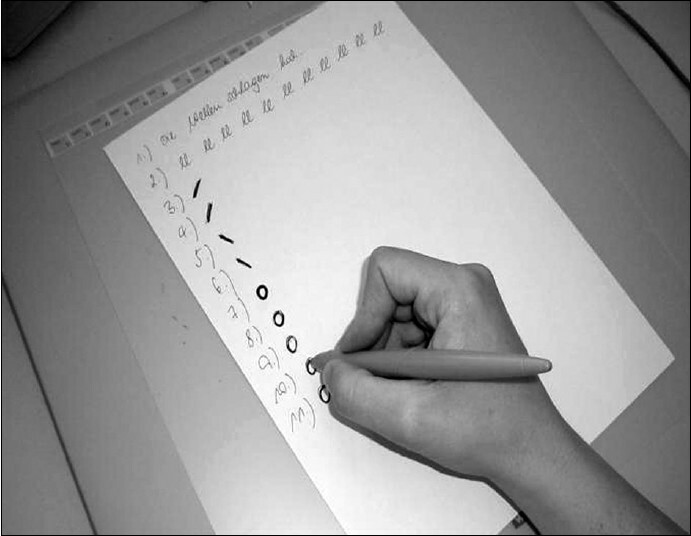 By means of a computer-aided analysis of the patient`s handwriting, 10 kinematic parameters of the writing trace were calculated. These parameters were determined once at the very beginning of the study and then again after 7 years. Results : Improvement of clinical symptoms was observed after onset of therapy only within the first 2 years. In contrast to the standard population, a reduced degree of automation could be detected both at the beginning and at the end of the 7-year interval. There was no significant change in 8 out of the 10 kinematic parameters during the observation period, 2 deteriorated. Discussion : The absence of a significant increase in fine motor disturbances proves, on the one hand, the efficacy of the therapy regime applied. On the other hand, the end point of a possible reversibility had been reached. A computer-aided analysis of the patient`s handwriting allows for a sensitive detection of the "functional scar" in the extrapyramidal control and can subsequently prompt a timely correction of therapy in case of progression. Aims: To study the significance of filling cystometry in assessment and management of neurogenic bladder in myelopathies and correlate neurological recovery and bladder management in the follow up. Study Design: Retrospective analysis of reports of filling cystometry in patients with traumatic and non-traumatic myelopathy. Setting: Neuro-rehabilitation unit of a tertiary care university hospital. Methods: The study was carried out between September 2005 and June 2006 and included all subjects with myelopathy who underwent filling cystometry. ASIA impairment scale was used to assess neurological status during admission as well as in the follow up. Bladder management was advised based on the cystometric findings. Neurological recovery and mode of bladder management were correlated during the follow up after a minimum of 6 months. Results: Fifty-two subjects (38 males, 14 females), mean age 33.26 ± 14.66 years (10-80) underwent filling cystometry. Twenty patients had cervical, 24 had thoracic and 8 had lumbar myelopathy. Cystometric findings were overactive detrusor observed in 43 patients, (21 had detrusor sphincter dyssynergia (DSD), 22 without DSD) and areflexic/underactive detrusor in 9. Post-void residual (>15% of voided urine) was significant in 27 patients. Twenty-three patients (44%) reported for follow up (16 males, 7 females) after a mean duration of 9.04 ± 2.44 months (6-15 months). Neurological recovery was seen in 61% cases, while 1 patient showed deterioration. Only 26% patients reported change in bladder management during follow up. Correlation between neurological recovery and bladder management was found to be insignificant ( P > 0.05) using spearman correlation co-efficient. Conclusions: Filling cystometry is valuable for assessment and management of neurogenic bladder after myelopathy. No significant relationship was observed between neurological recovery and neurogenic bladder management in the follow up in the present study. 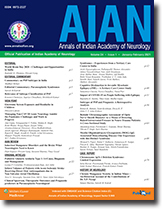 We report an unusual case of sporadic adult onset cerebellar ataxia with hypogonadism. 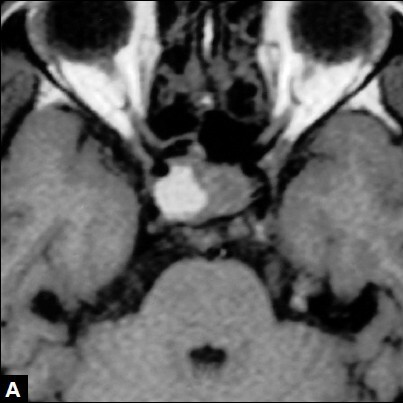 A 40-year-old unmarried man presented with progressive ataxia and dysarthria along with complaints of non-development of secondary sexual characteristics and erectile dysfunction. There were complaints of intermittent diarrhea. 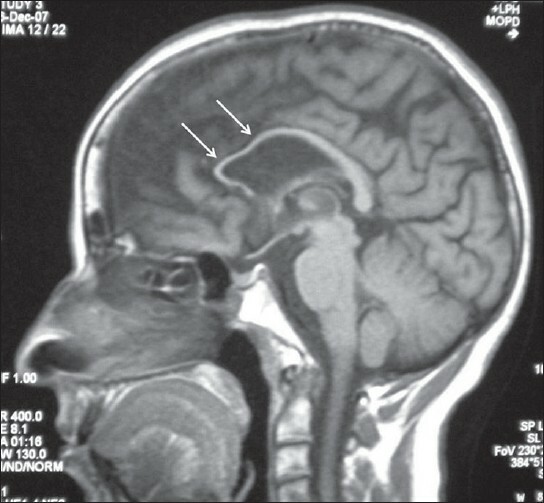 Clinical examination revealed a pan-cerebellar syndrome with features of hypoandrogenism. No eye movement abnormalities were evident. There were signs of malabsorption. Investigations confirmed the presence of auto-antibodies found in celiac disease, and a duodenal biopsy confirmed the same. Hypoandrogenism was postulated to be due to hypergonadotropic hypogonadism which has been mentioned in a few patients of celiac disease. 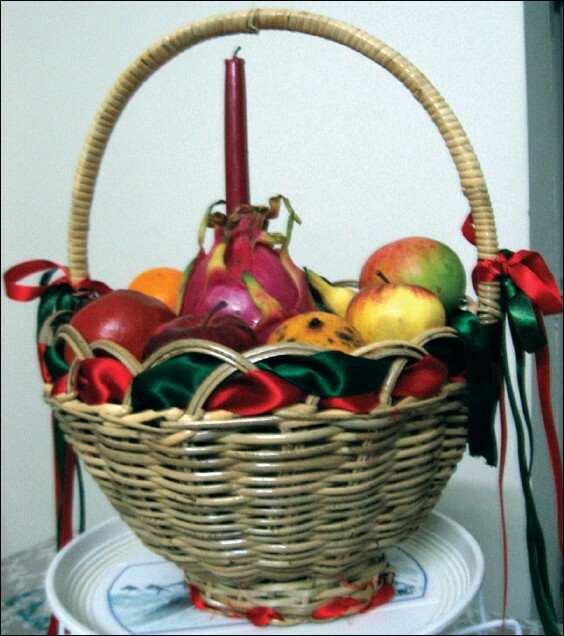 However, the pattern seen in our patient was of a hypogonadotropic hypogonadism. This is probably secondary to an autoimmune hypophysitis seen in some patients in the absence of other clinical manifestations. Autoantibody testing should be a diagnostic necessity in any adult with a sporadic cerebellar ataxia. Rhabdomyolysis and myoglobinuria are a rare complication of dermatomyositis. Such patient can land up in acute renal failure. Recognition of this fact has important therapeutic implications as patients require immunotherapy in addition to the symptomatic treatment for renal failure. We report a case of dermatomyositis with evidence of rhabdomyolysis and myoglobinuria presenting with acute renal failure. The patient responded dramatically to corticosteroid therapy. Prion diseases are rare, progressive and fatal neurodegenerative diseases characterized by long incubation period and short clinical course. 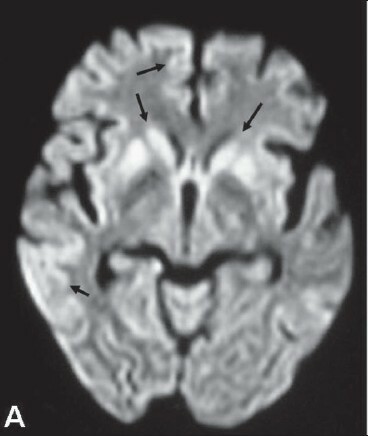 We present a rare case of Heidenhain variant of Creutzfeldt-Jakob disease, occurring in a 55-year-old lady presenting with dementia, cortical blindness, and myoclonic jerks. She succumbed to the disease within 8 weeks of onset of symptoms. MRI revealed hyperintense signals on T2WI and fluid attenuated inversion recovery (FLAIR) images in basal ganglia and fronto-temporal and parietal cortex, sparing thalamus, striate cortex and globus pallidum. Abundant abnormal prion protein deposits (PrP sc) were detected in caudate, putamen, thalamus, cingulate and striate cortex, in comparison to frontal and parietal cortex while no deposits were found in globus pallidum. MRI changes did not correlate with degree of spongy change, gliosis or prion protein deposition. The cause for abnormal signal changes in MRI and FLAIR images remains unclear. 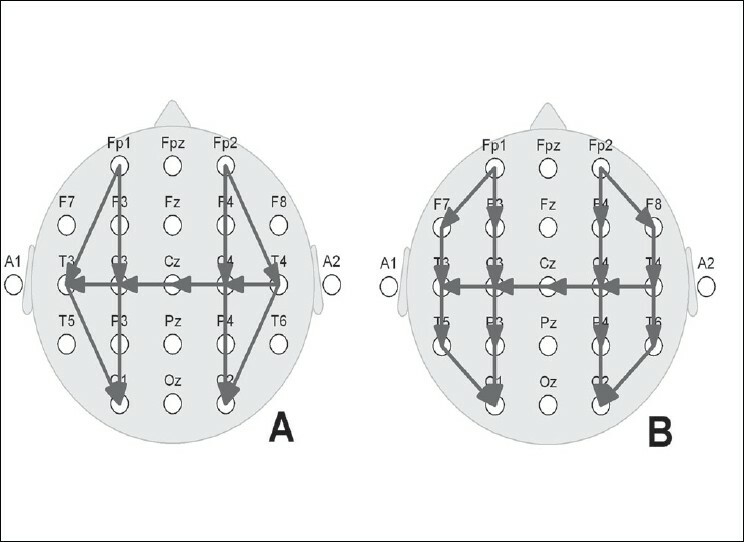 Neonatal electroencephalogram (EEG), though often perceived as being difficult to record and interpret, is relatively easy to study due to the immature nature of the brain, which expresses only a few well-defined set of patterns. The EEG interpreter needs to be aware of the maturational changes as well as the effect of pathological processes and medication on brain activity. It gives valuable information for the treatment and prognostication in encephalopathic neonates. In this group, serial EEGs or EEG monitoring often gives additional information regarding deterioration/improvement of the brain function or occurrence of seizures.